This post was originally published at Motherly. I didn’t agree and found this theory disempowering. However, I didn’t have kids then so couldn’t speak from experience. 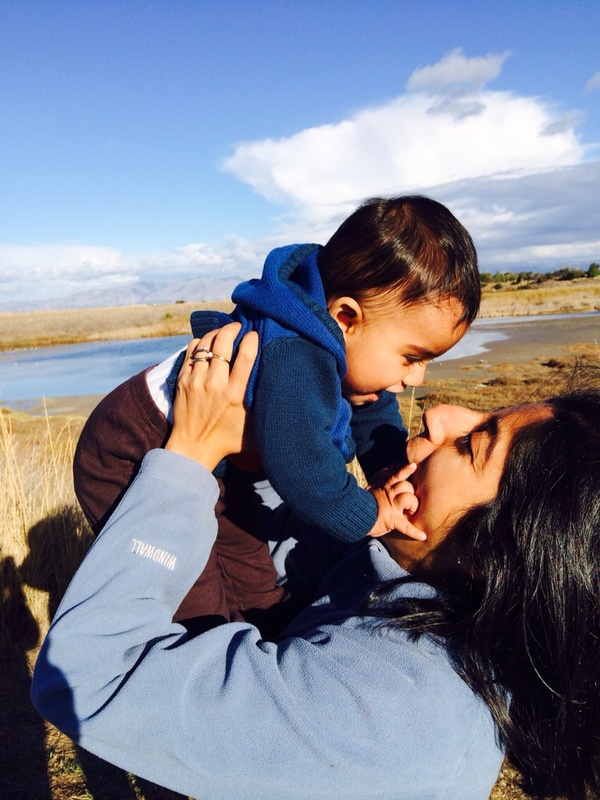 Today, I do have a 17-month-old son and I think a lot about guilt and motherhood. Now, I believe it is deeply problematic for our ourselves, our families, our professions and society at large, if we as mothers live in chronic guilt. Yes, the choices we have to make, and the tradeoffs we balance, are incredibly hard. I haven’t figured it all out yet and often wish parts of my life were different or that I had made a few different choices around work earlier in my career. But for the most part I am content. The truth is that the word guilt doesn’t exist in my vocabulary. I don’t chronically worry that my working outside the home will harm my child. I don’t fret that he is harmed by having parents with professional lives outside the home. Nor do I experience deep anguish that I’m doing something wrong by working. I’m largely content. And yet, I still cry. I cry because when I am at work, I miss being with my son Vivaan. Every time, I see a baby or a toddler in my office café, I secretly wish that I was having lunch with my little munchkin, holding him one more time, giving him another hug. I miss spending more time with him at the sandbox. My heart yearns for more time at the playground and tears trickle down my cheeks. As much as I appreciate the peace and quiet after bedtime on a Sunday evening, I also fondly cherish the wonderful time on the weekend and know that Monday will not be like Sunday. I am blessed to be working for an incredibly supportive manager at an organization that understands the needs of families. My husband is an amazing father doing his share to raise our son. We both chose our jobs consciously in order to integrate our professional lives with our lives at home. When I look at our family life in chunks of weeks, I feel content. I make peace by reminding myself how blessed I am to have someone in my life I can love so dearly that even when I am three miles away from him and see him everyday, sleep next to this little being, I miss him so dearly. No matter how many hours I have, my heart wants more. It is a struggle between being content with what I have and constantly feeling like I wish I had a few more minutes with him. I also make peace by reminding myself that I choose to work and refrain from using language that says but “I have to work.” Sure, I am a significant contributor to the income in our home but again, I am choosing financial security, intellectual stimulation and a career I care about. All of these are choices that come with consequences. There are millions of Americans, raising very happy, successful and resilient kids on one income or two part-time incomes. There are also millions of women, many with better educations and more career options than I, choosing to spend their time raising their families full-time. I have nothing but respect and admiration for them. But I know that we have found the right balance for our family. I don’t know if the tears will ever stop. Part of me wishes that they do and I could spend every minute that I am not with Vivaan being fully present at the task in hand but part of me hopes that I always love my child and enjoy his presence enough that I miss him every time I am not with him. My tears are not full of guilt, remorse or regret but with love—pure love, big love, mommy love. This is a great article that explains almost exactly how I feel. Being a single mother I don’t choose to rather I have to work, but you’re exactly right. Always wishing for more hours in the day with my boy. Thank you for this article it made me feel a lot better. So true! Very well written. I enjoyed reading this post. Thank you. Crying while reading because finally I found how I feel put into words.